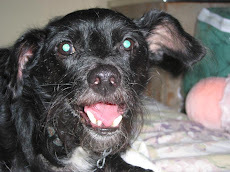 My dog says if you want to enjoy some scrumptious food and be entertained with music and comedy, go to the 4th annual Compassionate Cuisine event this Friday in Long Beach. Proceeds benefit Animal Acres, the amazing sanctuary that rescues and cares for "food" animals such as cows, pigs, chickens, and turkeys. To learn more about this fun event for a great cause, click HERE. 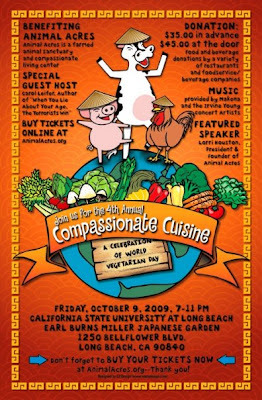 To buy tickets, click HERE (and be sure to select "Compassionate Cuisine" from the list of events). * Buy your tickets in advance for a sweet discount!